The Silver 1040 is outstanding value for money and proving very popular with our customers who want the benefits of computerised sewing without breaking the bank. 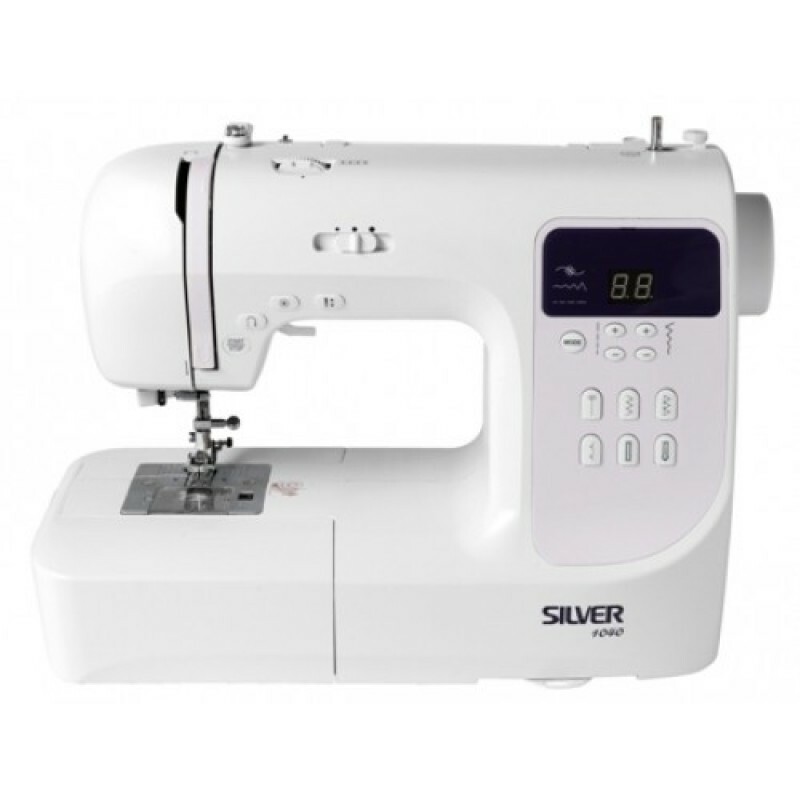 Silver 1040 has a choice of 80 stitch patterns, easily selected at the push of a button and displayed on the LCD screen. A handy pull-out reference plate illustrates the full pattern range. With a contemporary design the 1040 is our lightest computerised machine at 5.3kg and is ideal to carry to classes. A hard case is included and a quilting table is available as an optional extra.